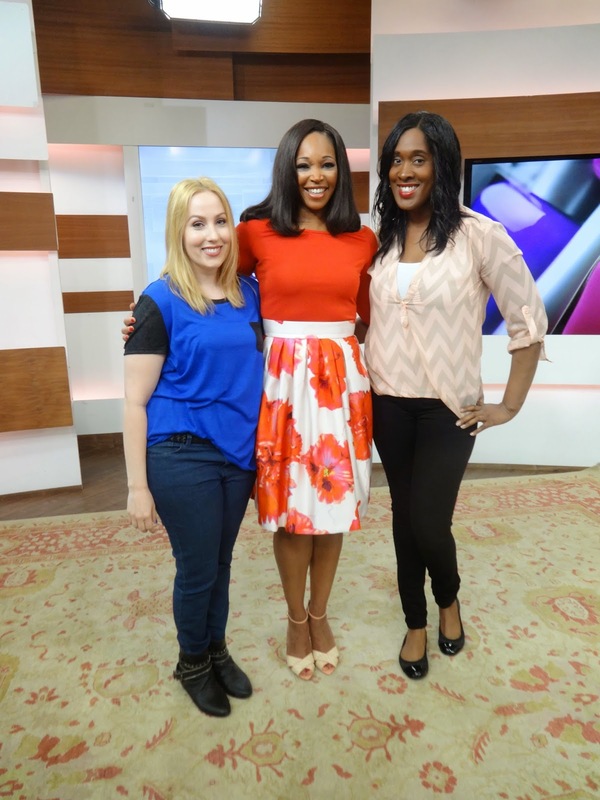 Last week I was lucky enough to attend a taping of Cityline, with my friend Jen. 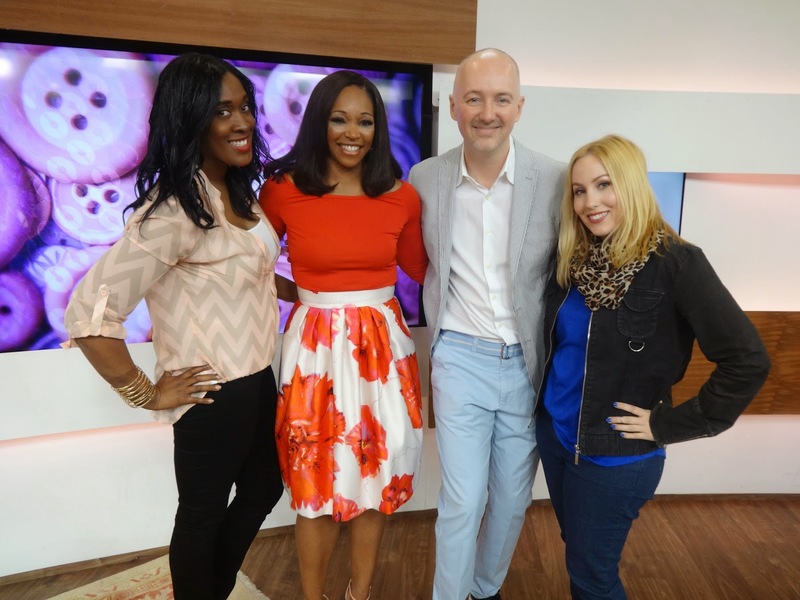 We were super excited for it, because it was a “Fashion Friday” episode, featuring a segment with our favourite beauty editor, Dave Lackie. Since it aired earlier today, and I won’t be spoiling the episode anymore, here are some pictures from our day. 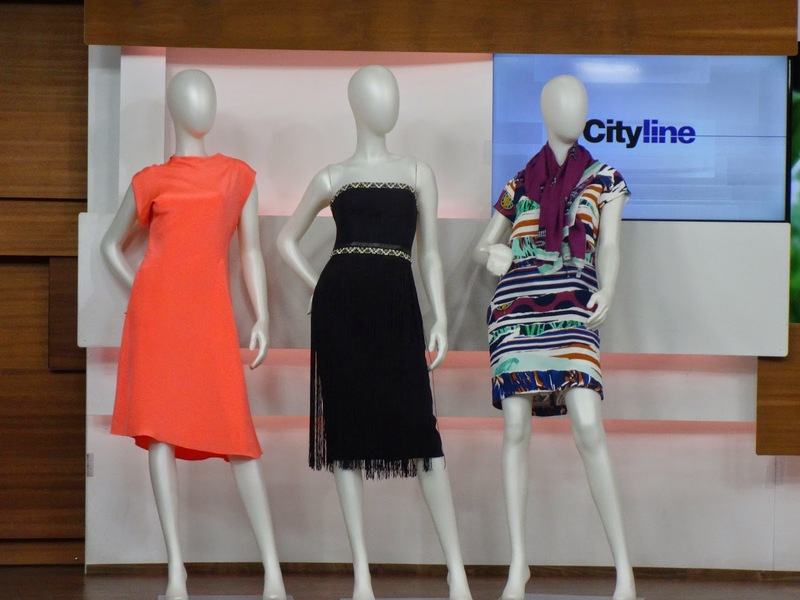 When you first arrive at Cityline, you check in at the front desk, and are taken to a waiting room, where you can hang up your coat, take a seat, and chat with the other audience members. We were given a little piece of paper with all the social media handles, so we could tweet and instagram all of our photos. 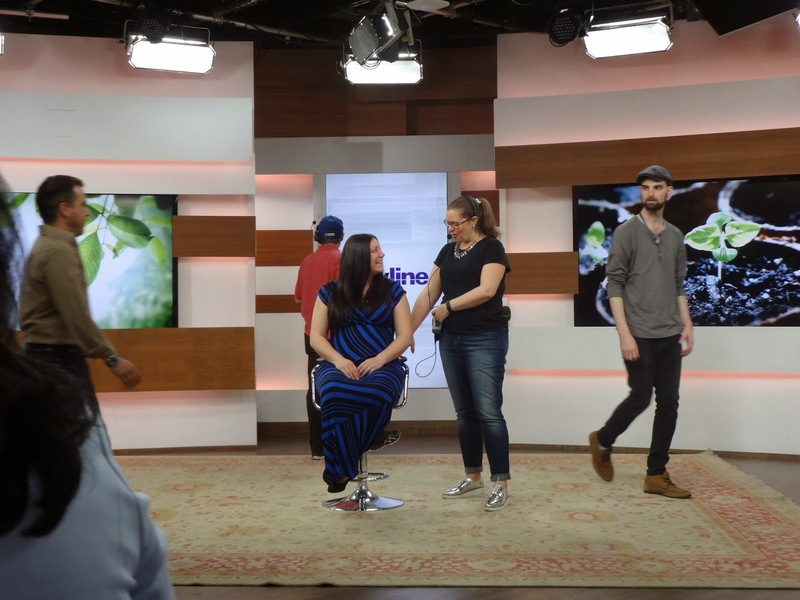 We then watched a cute video where host Tracy Moore gave a look behind the scenes of the show, as well as audience member tips such as: Be natural. Don’t chew gum – you’ll regret seeing that image on tv! 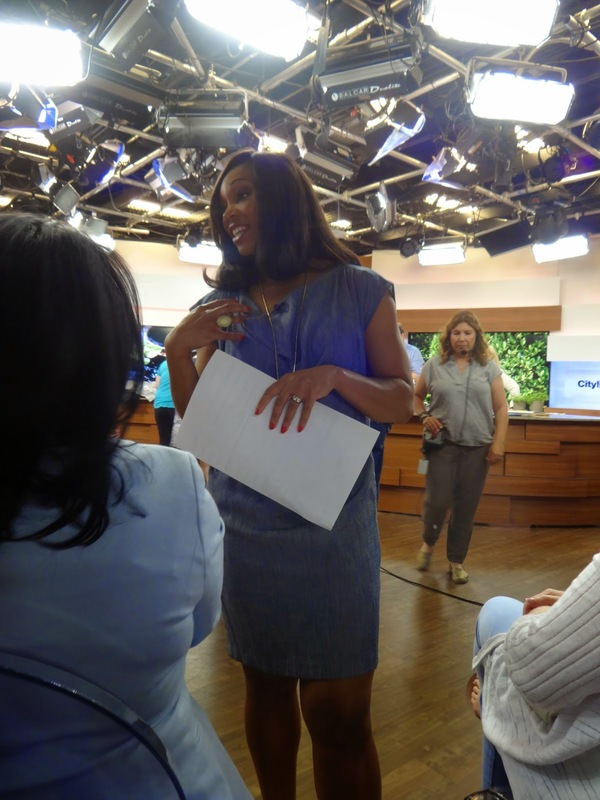 Then we went downstairs, took a seat, and waited for the taping to begin. 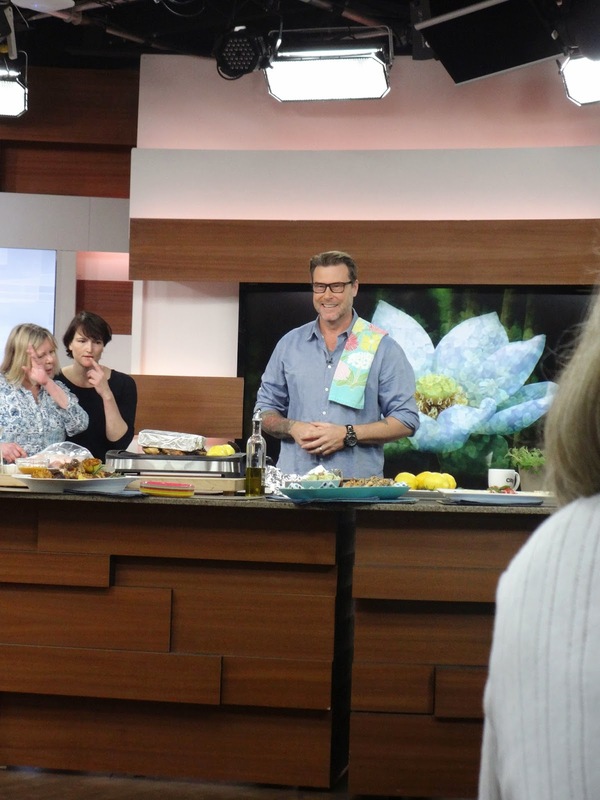 Dean McDermott was also there filming a cooking segment for another day, to promote his new cookbook. 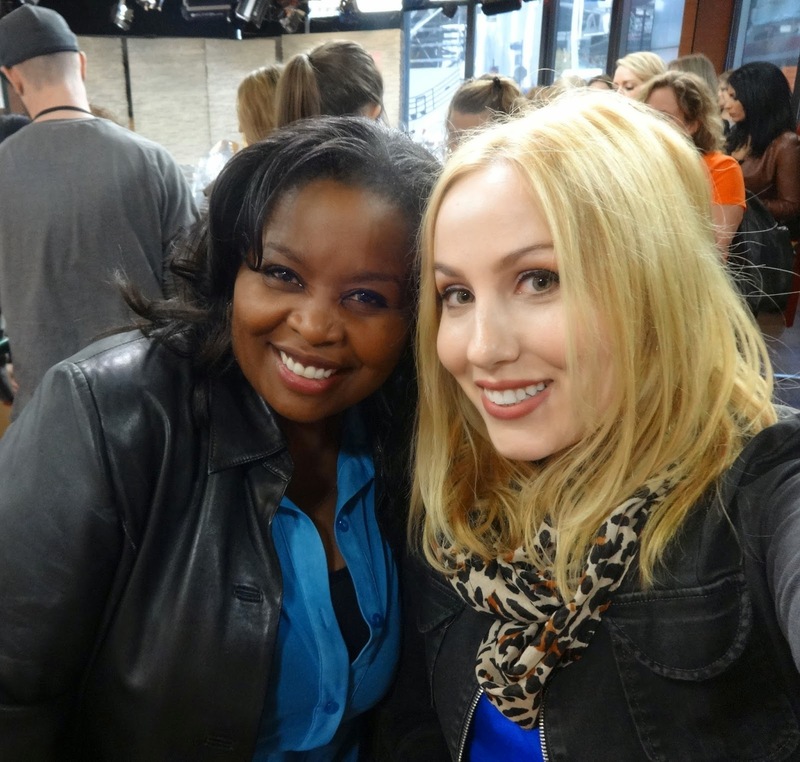 At the end of taping, each group got to take a photo with Tracy. 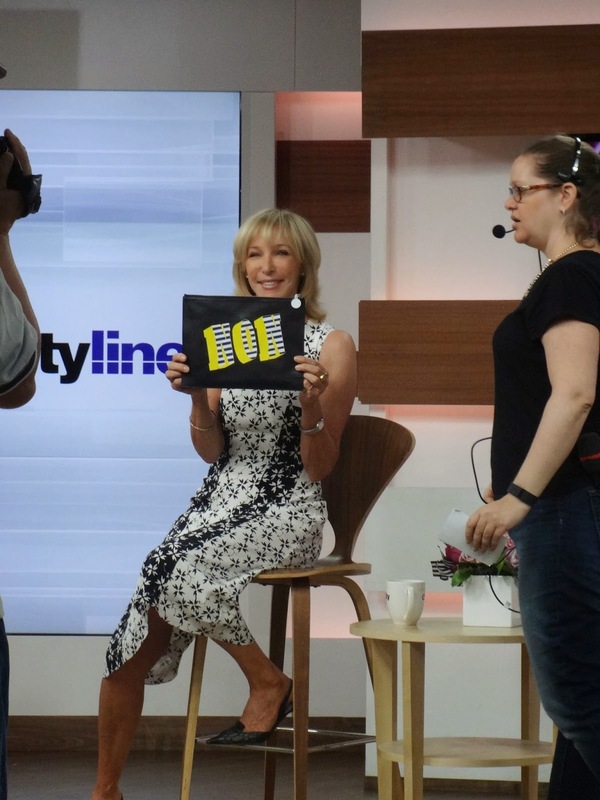 Of course, we had to ask her the details on her FAB outfit of the day – because I need that outfit in my life. 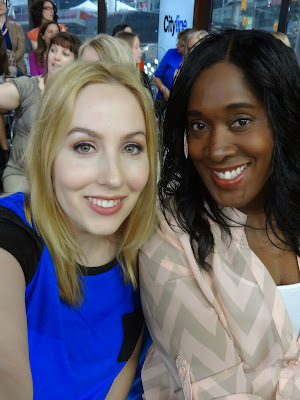 I also took a photo with Jacquie Hutchinson of Almay, who I met this past November at the Revlon #LoveIsOnCA launch. 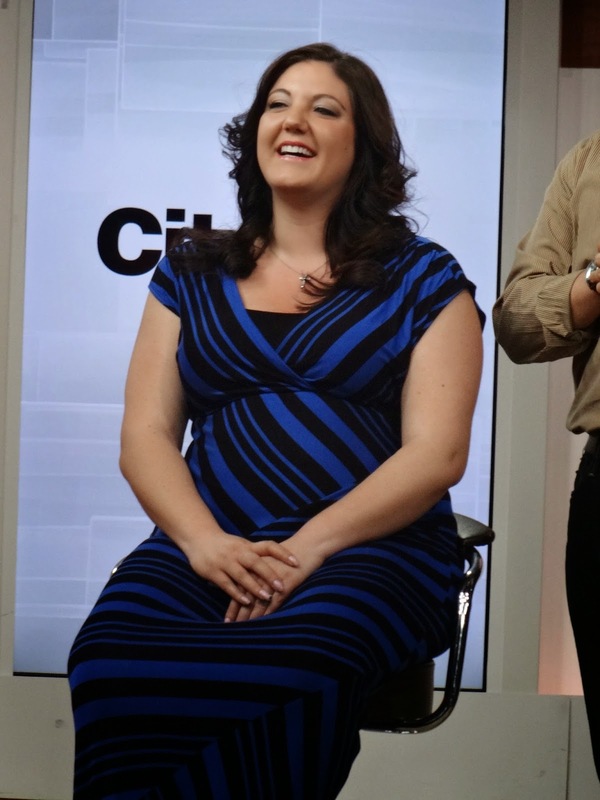 She did a great job during the makeup segment, as well as on her makeover model, using Almay products. Every time Jen and I see Dave we ALWAYS need what we call our “obligatory Dave picture”. 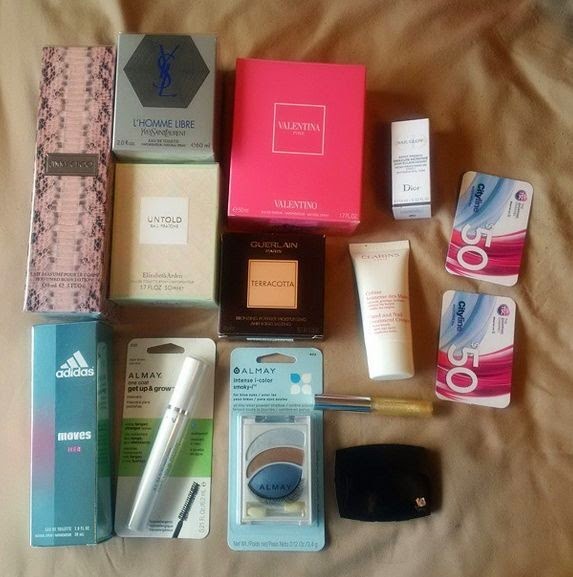 Here’s a shot of the amazingly generous goodie bag that the entire audience received, courtesy of Dave. 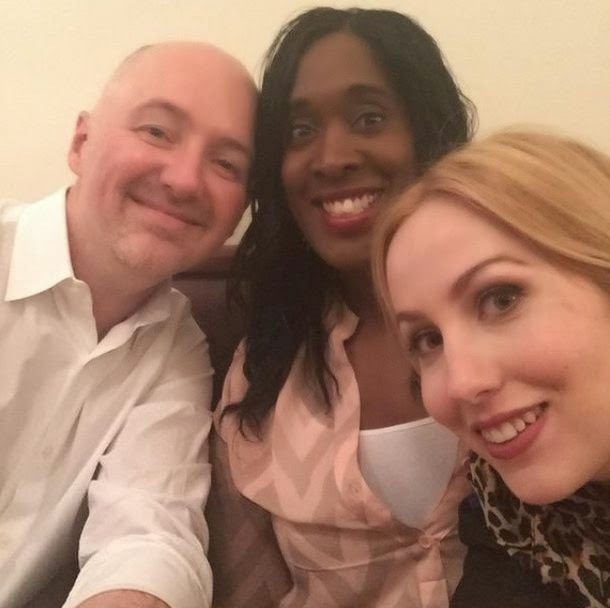 Head to his twitter (@DaveLackie) because he has giveaways happening right now, featuring Burberry, and Dior – and it’s open worldwide! All it takes is a follow and a retweet. 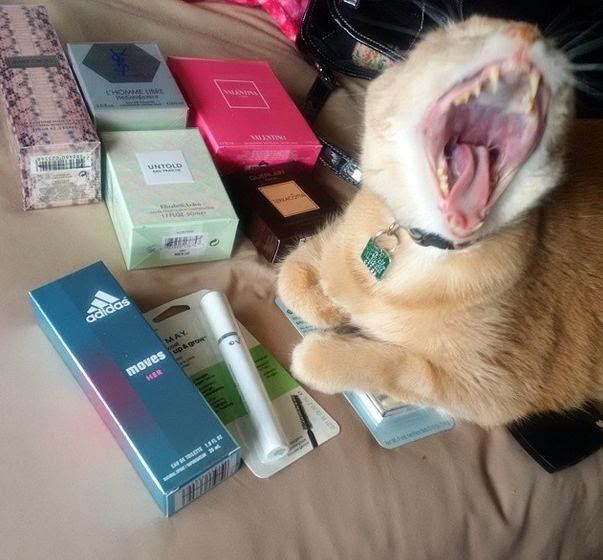 And my kitty guarding my things. Afterward we went for brunch (I ADORE brunch) at The Senator as recommended by Dave, which was located nearby. It was on “You Gotta Eat Here”, so I was pretty pumped to try it out. 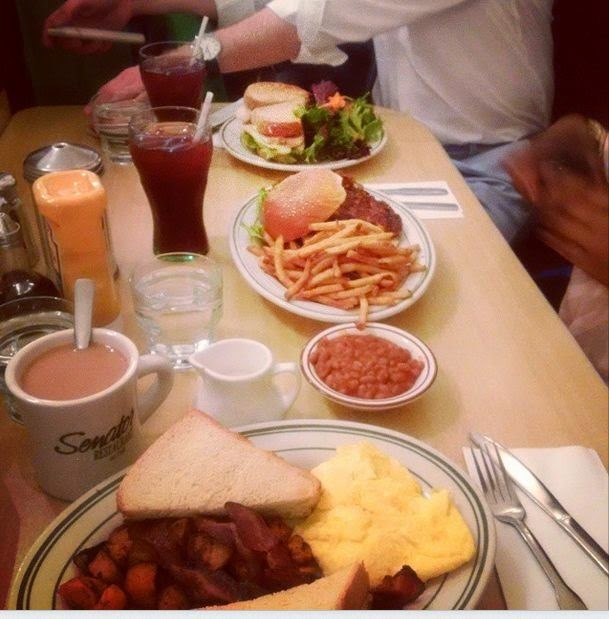 Sandwiches, and eggs, and fries, oh my! Very tasty – we’ll definitely have to go back pre-11:30 am, so we can get some eggs benny. What a fun morning! 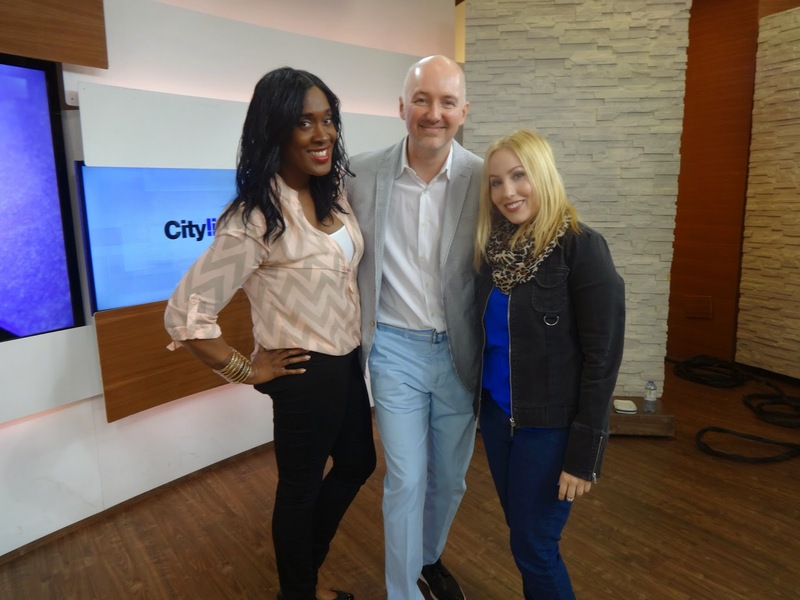 Big thanks to everyone at Cityline, and to Dave for showing me and Jen a great day. 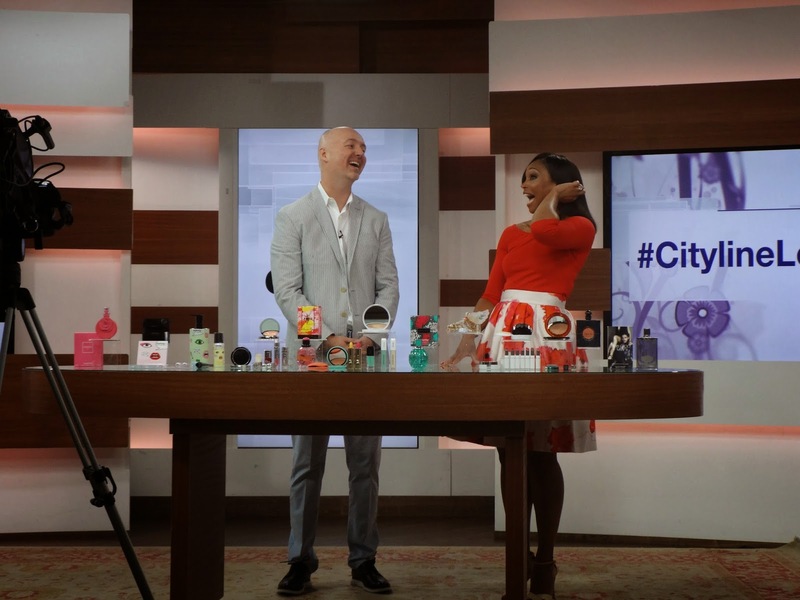 If you didn’t get a chance to check out the episode, it’s on the CityTV website now. Next Post Reviews-Day Tuesday ft. 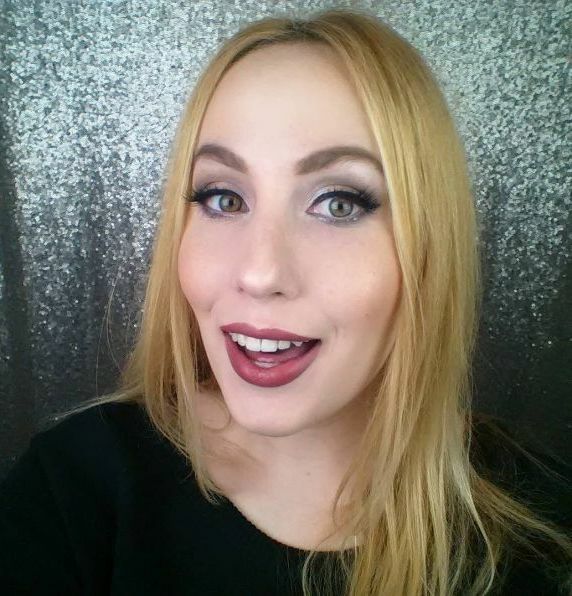 Essence Cosmetics: 2-in-1 Eyeliner Pen + Possible High-End Dupe?